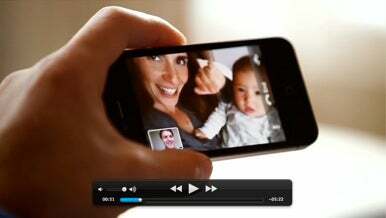 Like finely engineered clockwork, Apple on Monday released an iPhone 4 video along with its redesigned iPhone site. 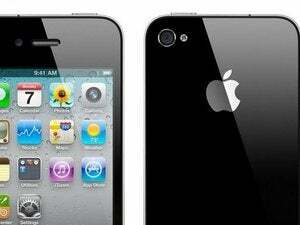 Apple’s typical senior personnel were on tap to tout the fourth-generation iPhone’s new features and design. Clocking in at six minutes and fourteen seconds, the video features key Apple figures involved with the new iPhone lauding its features. Scott Forstall, Apple’s senior vice president of iOS software, talks about how he’s “blown away” by FaceTime, the video-chat technology supported by the new phone. Bob Mansfield, senior vice president of hardware, is pretty proud of packing in Apple’s custom A4 CPU and the higher-capacity battery in the iPhone 4. Jonathan Ive, senior vice president of industry design, naturally can’t get enough of the new phone’s stainless steel and new glass that is stronger than sapphire crystal and thirty times harder than plastic. The bottom line is: if you’re willing to expose yourself to a direct blast of Apple’s infamous Reality Distortion Field in exchange for six minutes of well-produced Apple marketing, this is your new poison. The video features plenty of contrived-but-endearing FaceTime shots, as well as more peeks behind the veil of Apple’s manufacturing facilities. If anything, it should help hold you over until the phone’s June 25 release.